Guaranteed Plumbing is a professional plumbing located in Central North Carolina. Since 2007 our Apex Plumber has provided exceptional plumbing service unparalleled anywhere in Apex, NC. 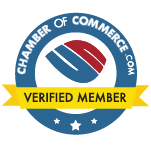 We value every client that we partner with and work hard to earn your trust and business. We stand by our work and guarantee our plumbing products. The greatest benefit to hiring Guaranteed Plumbing is the experience and skill we bring to every installation or repair. Our Apex Plumber performs every job with great care and precision, so that you can enjoy your new plumbing system, fixture, or bathroom accessory for many years to come. For a truly unique repair or installation experience, check out the certified team at Guaranteed Plumbing. We are Apex’s plumbing experts. Whether it is repairs or brand new installation, work performed on your kitchen or bathroom often requires attention to detail and delicate work in order to keep from scratching or damaging your bathroom and kitchen décor. This is why hiring professionals is absolutely essential. We can help you with your brand new installation or repair. We can install, repair, or replace all fixtures, internal plumbing, bathtubs, drains, showers, and body sprays. Our Apex Plumber can help you pick the right fixture or room water accessory for you. We walk you through every phase of installation in order to guarantee complete satisfaction. Just contact us for a home visit. We assess your needs, give you an accurate estimate, and work fast, so you can get back to your daily routine. See the difference that Guaranteed Plumbing makes! Not all residential plumbing issues are inside. When your water pump goes out, your pipes are rusted out, or your water spout busts due to freezing water, you need a company that can provide the type of outside repair that differs from interior plumbing service. This is why we offer trenchless repair service. Trenchless repair and installation completes each job without destroying your yard, landscaping or garden. This unique method can completely repair or replace pipes completely underground while keeping your flowerbed or driveway intact. With the help of Cameras we can also inspect all piping systems and sewers without ever crawling down inside them. Cameras allow us to quickly and accurately diagnose any problem and fix it. This method saves you time and money and allows us to properly solve every issue. 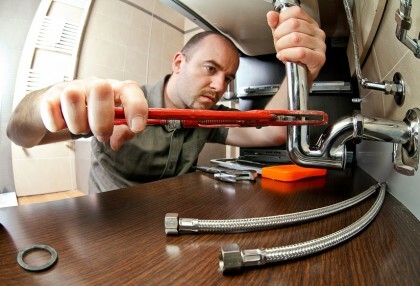 Our Apex Plumber uses industry standard equipment and technology. You get the benefits of a professional company that can help you with any problems. Once you install a water filter or softener from Guaranteed Plumbing, you’ll never go back. Clean, soft water has a positive impact on every aspect of your home life, from softer clothing and linens, to spot free dishes, efficiently running appliances, and healthier lives. Check out all the options that are available to you with our water filtration and purification systems. If you are looking for an Apex Plumber then please call 919-PLUMBER (919-758-6237) or complete our online request form. "My neighbors recommended Guaranteed Plumbing to me as they have plumbing repairs made to their house earlier this [...]"